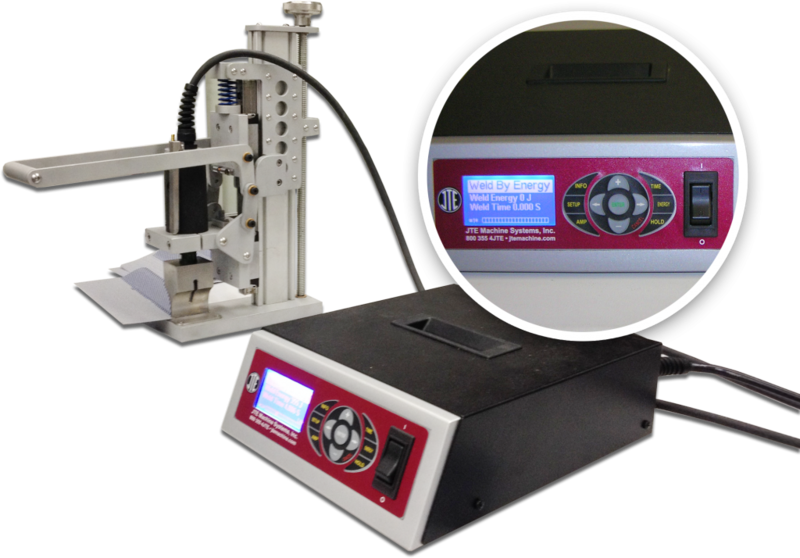 This convenient, lightweight ultrasonic welder can tack, repair, and permanently weld almost any thermoplastic material including nonwovens, Tyvek, polyesters, and PVC. It is simple to use, (with “Weld by Energy” feature), and can be taken anywhere there is 110V power and a hard surface to place behind the material to be welded. Unlike hot air welding, only one hand is needed to get strong welds within seconds. No rollers or tape needed.